Recently widowed, Kate’s daughter, son-in-law and grandchild moved in with her to her large suburban home. The young couple pays Kate a reduced rent which enables them to make their student loan payments. Additionally, they can save money to buy their own home in the future. Likewise, the living arrangement helps Kate make her mortgage payment which she was unable to do after losing her husband. In addition, Kate is able to spend a lot of time with her young granddaughter and help out with child care. Kate’s household is part of a growing trend in the U.S. called multigenerational living. According to a Pew Research Center analysis of census data, the number of Americans living in multigenerational family households is increasing. A record 64 million people (in 2016), or 20% of the U.S. population, lived with multiple generations under one roof. A multigenerational household consists of at least two adult generations living together or grandparents living with grandchildren. Parents living with an adult child or children (ages 25 and older) is the most common type of multigenerational household. Over 32 million Americans live in this type of situation. In 2016, over 28 million people lived in homes with three or more generations–a grandparent, an adult child and a grandchild of any age. Approximately 3.2 million Americans lived in households consisting of grandparents and grandchildren. In 1900, 57% of Americans ages 65 and older lived under the same roof with their adult children. By 1950 this number decreased to 21%. After World War II, under the GI Bill, returning soldiers received financial assistance to cover tuition/expenses at colleges and trade schools along with access to low-interest mortgages. This helped people start careers, marry, have children, and buy their own homes–separate from their parents. The number of different generations living together reached its lowest point at 12% in 1980. However, in the late 2000s the trend in multigenerational living shifted upward due to the Great Recession. Considered the worst economic downturn since the Great Depression, the recession caused more than 8 million Americans to lose their jobs and almost four million homes were foreclosed. This forced different generations to live together in the same household. Around the same time, according to the U.S. Census Bureau, Asian and mixed-race populations began growing at a faster rate than whites. These groups are more open and welcoming of multigenerational homes. Embrace the opportunity. Enjoy the chance to spend time together, strengthen family bonds, and help other family members in their day-to-day lives. Discuss guidelines. Before moving in together, have a conversation about responsibilities and any possible situation that may happen. Who handles finances, grocery shopping, cleaning, and yard work? Will there be rent increases? 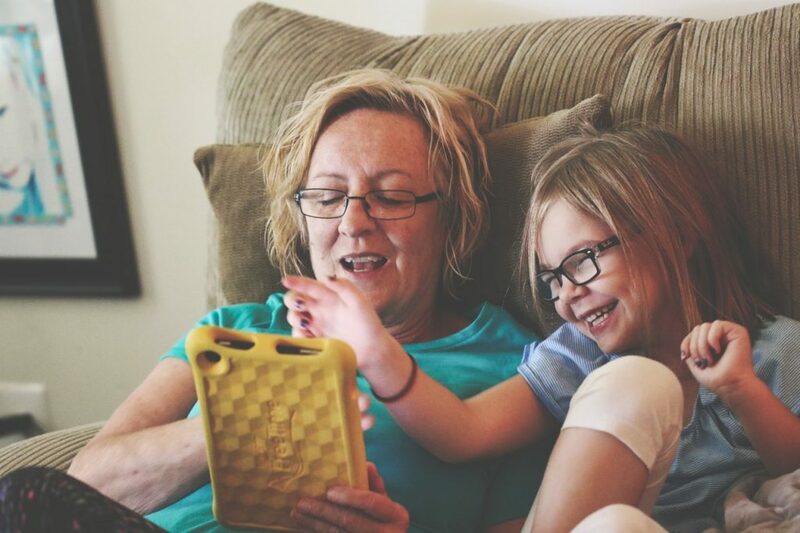 What about disciplining grandchildren or having friends over? Some families find it works best for each person to handle certain responsibilities. For example, grandma will do all the grocery shopping and cooking, and an adult child will take care of clean-up, and laundry. Grandchildren should have a stake in household chores too. Depending on the age they can pick up toys, wash cars, take out the trash, rake leaves or shovel snow. Establish a timeline. Is this living situation a permanent one or is there a finite time frame? Discuss these parameters up front.